Sunderland Pubs Safe But Chaplins And Varcity Face Uncertain Future. To begin with, The Bramwell Pub Company recently announced they had went into administration. This, of course, threatens four pubs in Sunderland and one in Durham with closure. Obviously, this could result in many job losses. Indeed, Chaplins, the Chesters and the Blue Bell in Fulwell, were facing closure. So were Varcity in Sunderland and Durham but they have carried on trading in the hope of finding a buyer. However, there are some Sunderland pubs safe from closure and will survive. So that is a blessing. As a result of Bramwell Pub Company’s administration order, Stonegate Pub Company have now stepped in. Moreover, they bought The Chesters, The Blue Bell and Varcity in Durham. However, there is still no buyer for Varcity in Sunderland City Centre and Chaplins in Stockton Road. We have all saw pubs closing down over the years. Recently however, that sort of thing seems to be accelerating at an alarming rate. Moreover, with higher running costs and extreme competition from the supermarkets, this looks likely to continue. However, the pubs are fighting back. After suffering the cruel no smoking ban, pubs are indeed trying their best to keep their heads above water. Obviously, the no smoking ban is a good thing. But, pubs and other places did not get enough time or assistance to adjust. Most Sunderland city centre pubs are indeed continuing as normal. In fact, the city centre is still as vibrant as ever. So not a lot of changes there. But we hope that buyers will come forward and help save those establishments under threat. Finally, cheers to all Wearside drinkers. In fact, if you wish to promote a pub in Sunderland or the surrounding areas, please do so in the comments section below. 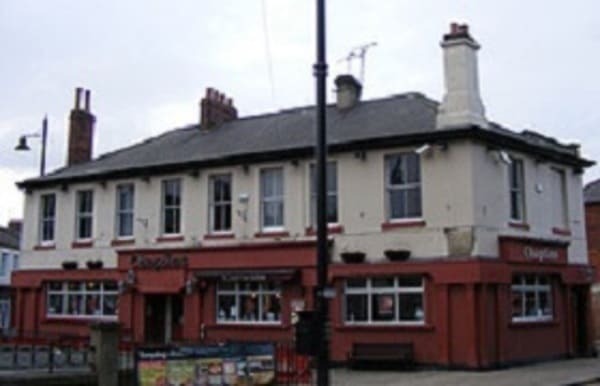 Alternatively, you can also promote a Sunderland pub in the massive Sunderland Forum. The Sunderland Message Boards (SMB) are your local online community forums to help interact with other locals. Tagged Blue Bell Sunderland, Bramwell Pub Company, chaplins sunderland, Stonegate Pub Company, Sunderland Pubs Safe, varcity sunderland. Bookmark the permalink.